Celebrating S.H.I.E.L.D. 's 50th anniversary, Marvel proudly presents the very first S.H.I.E.L.D. adventures! In 1965, having revolutionized everything from super heroes to war and Westerns, Stan Lee and Jack Kirby set their sights on the spy game. Cold War covert ops had been dominating headlines, so they created an international organization to protect the Marvel Universe. 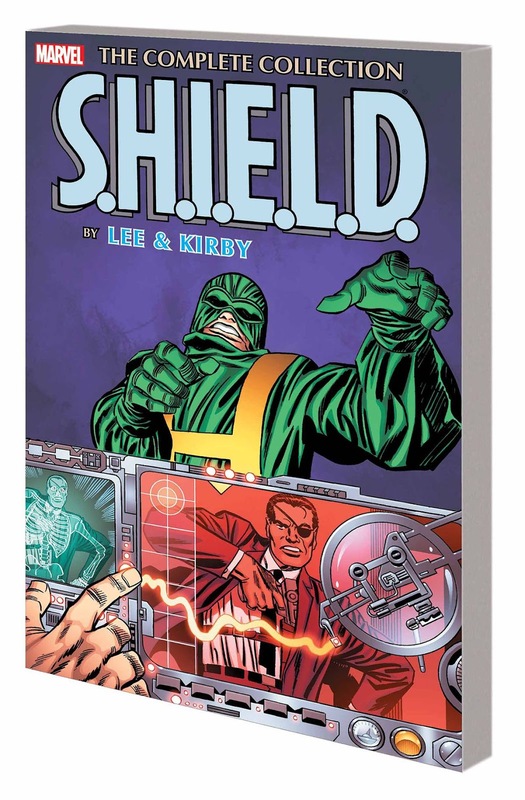 Headed by Nick Fury, and featuring Tony Stark and the Howling Commandos, S.H.I.E.L.D. boasted amazing gadgets, world-dominating villains and the debut of the awesome Helicarrier! These adventures include the first appearances of Hydra and A.I.M. ; a team-up with Captain America; and countless threats to every man, woman and child on Earth. Collecting FANTASTIC FOUR #21 (1961) , and material from STRANGE TALES #135-150 and TALES OF SUSPENSE #78. 145 pages including 2 historical text pages by Stan Lee from SON OF ORIGINS OF MARVEL COMICS. Plus 4 pages of Kirby original art and period house ads.